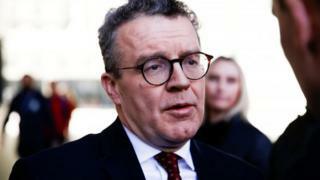 Image caption Deputy Labour leader Tom Watson said Luciana Berger had been "bullied out of her own party"
MP Luciana Berger's decision to quit the party over anti-Semitism was Labour's "worst day of shame" in its 120-year history, Tom Watson has said. Labour's deputy leader said Ms Berger had been "bullied out of her own party by racist thugs". The Liverpool Wavertree MP is one of nine MPs to quit Labour, criticising the leadership's handling of anti-Semitism. 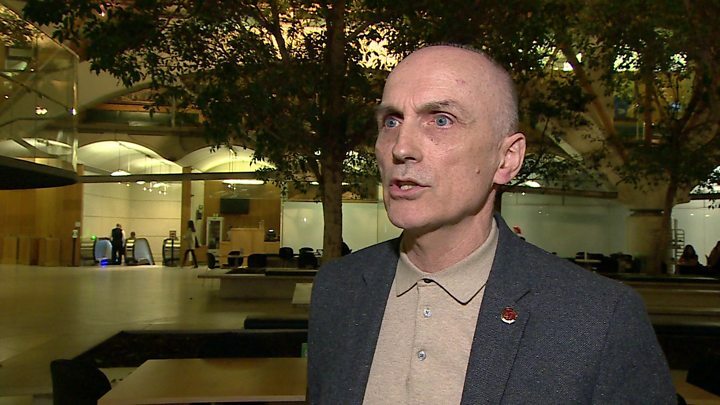 On Wednesday, Labour suspended MP Chris Williamson for saying the party had been "too apologetic" on anti-Semitism. Mr Watson said there would be an inquiry into Mr Williamson's conduct. But campaign group Jewish Voice for Labour is calling for his suspension to be rescinded. The group said he had simply been highlighting figures that showed complaints over the past 10 months had led to 453 cases of anti-Semitism being investigated, which involved a tiny fraction of Labour's membership. "The existence of anti-Semitism in the party, as everywhere in society, is not in doubt," the group said in a statement. "It needs to be contested - and the party's beefed-up disciplinary processes are doing just that. "But these figures, and the experience of the hundreds of our Jewish members in the Labour Party, give the lie to the false narrative that the party is rife with anti-Semitism. "Such a description bears no resemblance to reality." The row comes after footage was published by the Yorkshire Post, showing Mr Williamson, who is a close ally of Labour leader Jeremy Corbyn, telling activists Labour had been "too apologetic" over anti-Semitism and was being "demonised as a racist, bigoted party". Media captionChris Williamson: "I'm absolutely determined to clear my name"
The Derby North MP said Labour had "given too much ground" in the face of criticism over the issue but later said he "deeply regrets" the remarks. Mr Williamson told BBC News he was "absolutely determined" to clear his name and did not want anyone to think he was "minimising the cancer of anti-Semitism". Media captionMargaret Hodge on her Labour Party membership: "I am not going to give up, I am a fighter"
Tom Watson said Labour's general secretary had decided that Mr Williamson's "pattern of behaviour over recent months was potentially bringing our party into disrepute". "He's entitled to a fair hearing but I've been very, very concerned that his comments have almost been deliberately inflammatory and causing offence to not just parliamentary colleagues but people in the Jewish community who understandably have a real concern about anti-Semitism in the Labour Party," he told BBC Radio 4's Today programme. A number of Labour MPs welcomed the decision by the party, on Twitter. But Margaret Hodge questioned why it had taken so long to suspend Mr Williamson, adding: "In the current climate not to show strong, immediate, determined action to stand out anti-Semitism was a mistake. The fact it has finally happened is a relief." Mr Watson said he was seeking a meeting with Mr Corbyn to discuss the party's response to anti-Semitism. 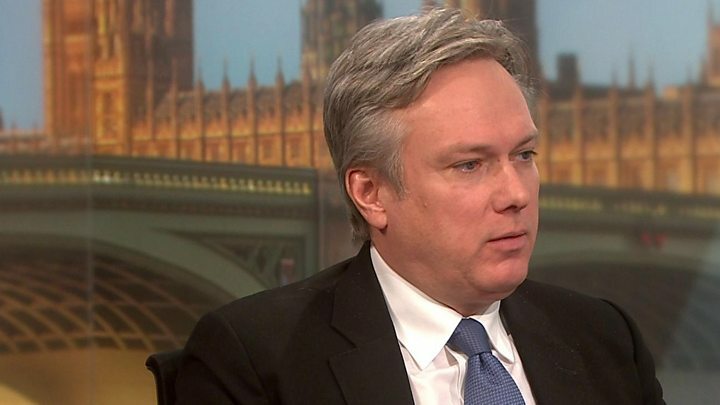 He told Today: "When Luciana Berger left the Labour Party, I thought it was the worst day of shame in the Labour Party's 120-year history - a pregnant young MP bullied out of her own party by racist thugs. "The one thing I say to my colleagues and half a million Labour Party members is that I am not going to allow them to be tainted by racism, so I am going to speak out on anti-Semitism for as long as it takes to root it out and deal with it." 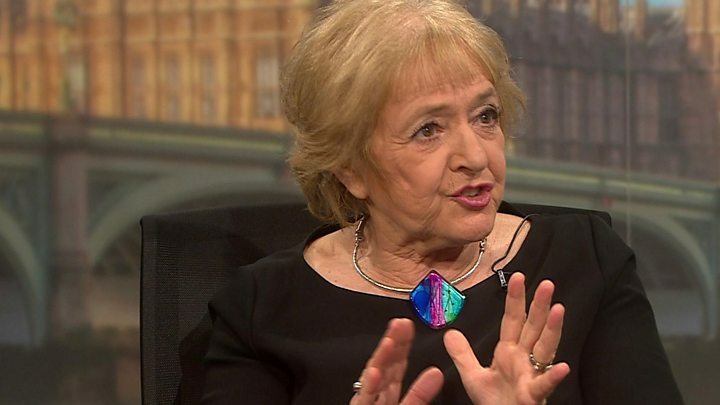 Ms Berger, who is Jewish, quit to join the new Independent Group of MPs, claiming Labour had become institutionally anti-Semitic and she was "ashamed" to stay in the party.